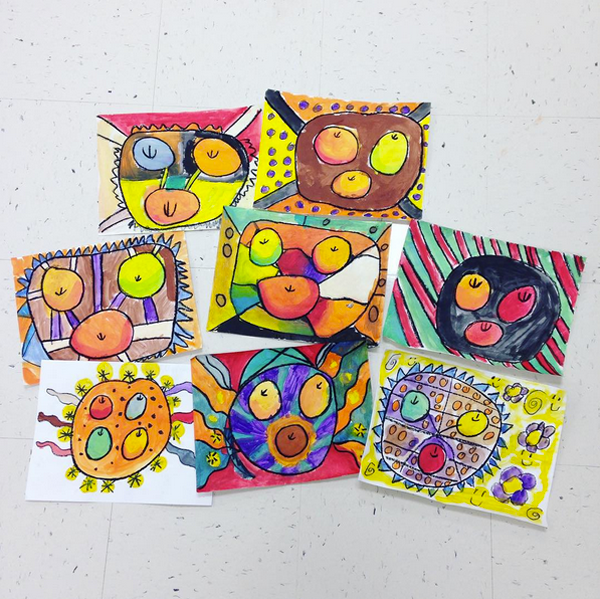 All grades except for kindergarten made portfolios on the first rotation and learned about art room procedures. They will keep most of their artwork in their portfolio until the end of the year. 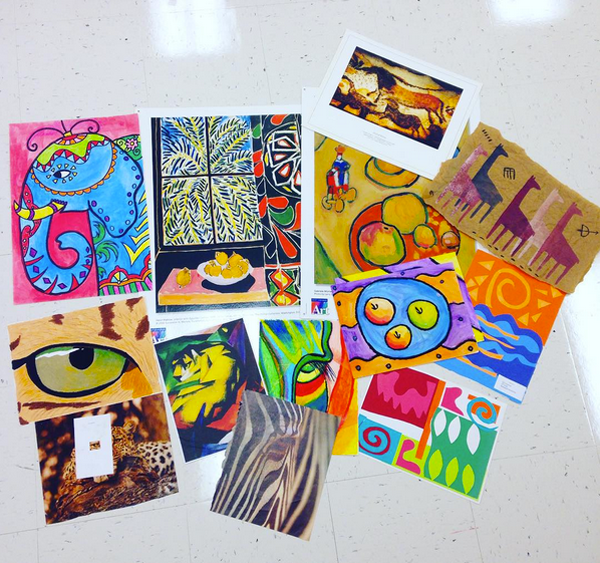 We studied the works of Henri Rousseau and Franz Marc while discussing realistic vs. abstract art. 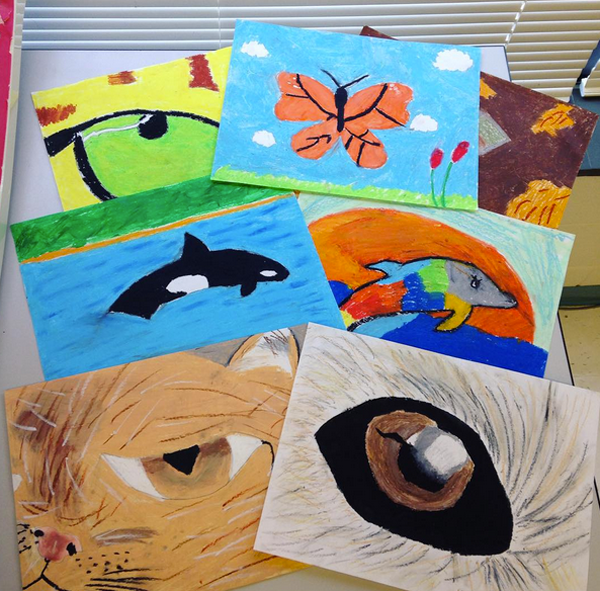 Students completed their own animal art choosing to create realistic or abstract drawings. 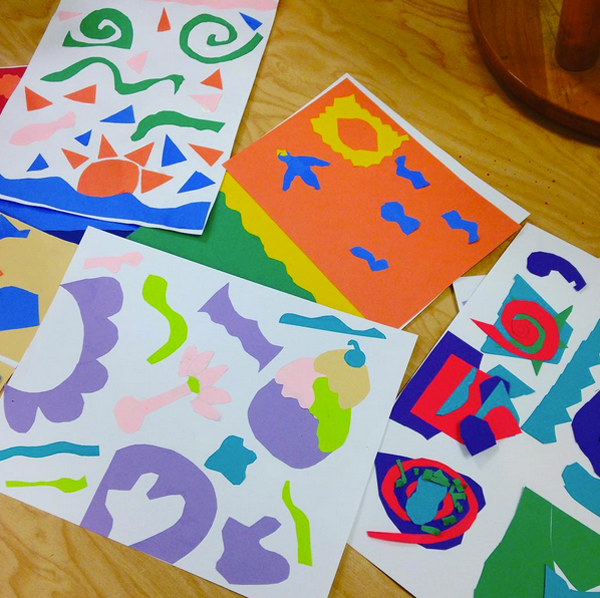 We studied the art of Henri Matisse and created collages using geometric and organic shapes. 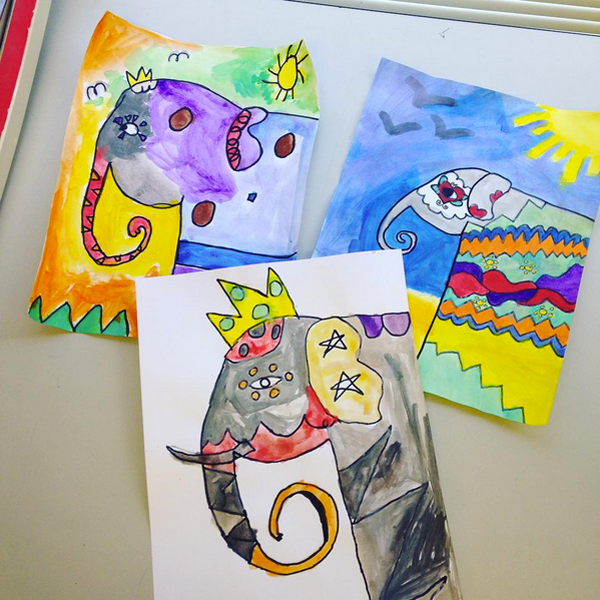 We studied the Indian tradition of decorating elephants and created elephant paintings using lines and patterns. 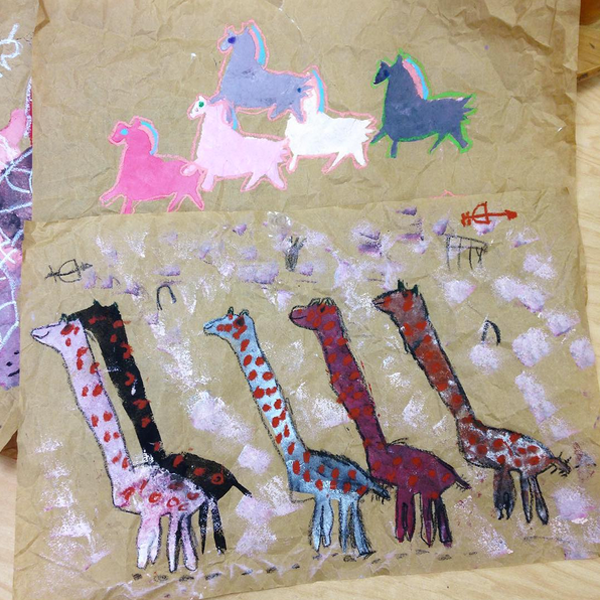 We are working on an ancient art unit, so for our first project we studied the French cave art from Lascaux. 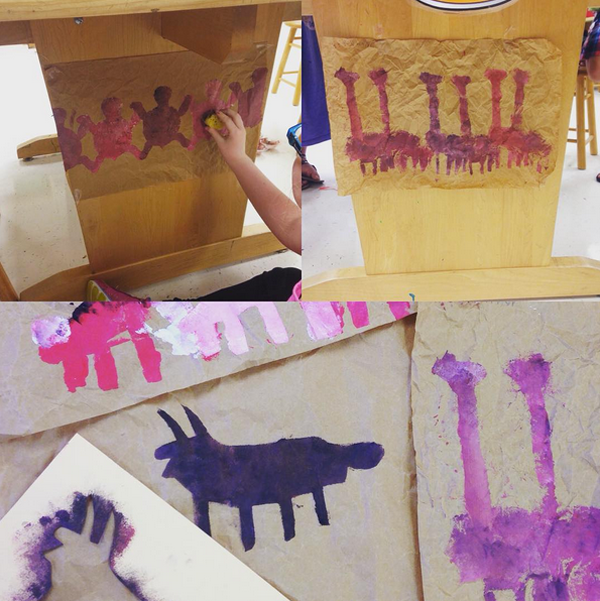 Students created stencils and got to paint under the table like they were in a cave! We learned all about the art room and painting procedures on the first day of art. 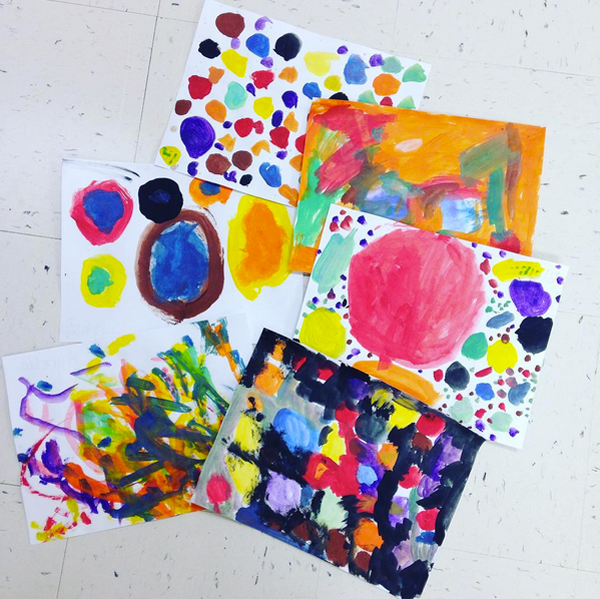 We read "The Dot" and created dot paintings. 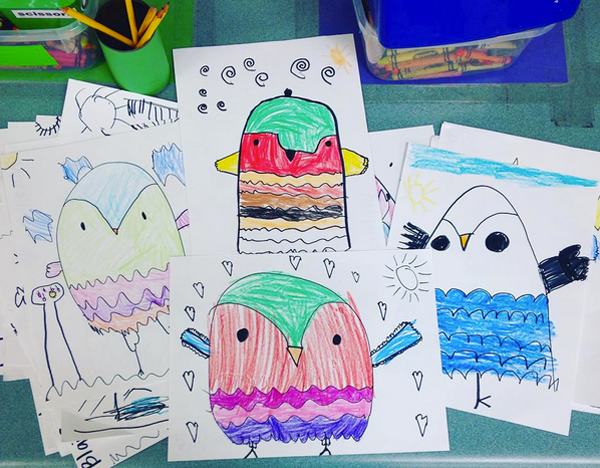 On the second day of art students learned about drawing and coloring procedures in the art room and created owl drawings. 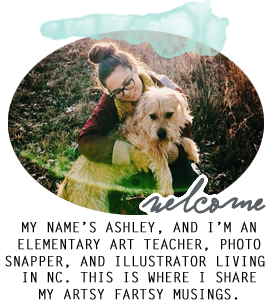 I hope you enjoyed our classroom update!